I slept like the dead last night. Fitbit says I got a healthy 6.5 hours with more deep sleep than I normally get. First I want to say thanks for all the post sharing and comments through the day. The praise and support kept my spirits high even during the day’s frustrations. I hope you all enjoy this post as much as yesterday’s. Day 2 had it’s ups and downs, but overall I’m super happy. All of the last minute changes and decisions I made were great! I met wonderful people, fought with terrible weather, and have realized I need photography classes or a photographer to come with me on my next trip. Today is the first of four days I’m going to stay in Wisconsin. I had no idea how great this state was until I started my planning. Today was an early start but I covered a lot of ground. First things first. Check out of Red Roof Inn, stop at truck stop, get gas, get Indiana smashed pennies. Solid options by Indiana and back to the reasonable price of $.51 (screw you still, Ohio!). When I say I saw a kid licking a pole at a truck stop, what comes to mind? You’re correct! I did see a bronze statue depicting the scene in A Christmas Story where Flick licks the frozen flagpole! While the movie was filmed in Cleveland, Ohio, the story takes place in Hammond, IN. I triple dog dare you to drive past the Indiana Welcome Center on I-80 without getting a selfie. I was a little shocked by the Indiana Welcome Center. First it was a bit off the major highway. I had to pay a toll and exit to get there. When I arrived at 8:00am they were just opening it. Typically these are on the highway and open 24/7. The place and staff were amazing though! The young lady unlocking the door took the picture above and then showed me their current exhibit. The exhibits change frequently and this one currently showcases posters from the Southern Shore. Each fall and winter the exhibit usually focuses on A Christmas Story. The exterior of the building was also beautiful. Overall I’d say this is the best state welcome center I’ve been to. They even had a geocache in the back for me! I made one quick stop in Illinois so I could get more pennies and knock out another geocache. The goal is to get one cache for each state I visit (I already had DE, PA, and OH). On my way to a lovely park, I saw this sign. I’m not sure what’s going on there but I felt it would be best if I stayed away. My next destination was Milwaukee. I’m a first time visitor but “Milwaukee has certainly had its share of visitors. The French missionaries and explorers were coming here as early as the late 1600s to trade with the Native Americans.” We all know the name “is Algonquin for ‘the good land. '” Thank you, Alice Cooper! Well the French missionaries can keep it! The entire city is under construction. I had to travel four blocks before I could make a left to circle back on the parallel street. I went to get on the exit for the highway and it was closed…I had to head south of the city to get back on to go north. Milwaukee is also the home of the Cunningham family and their friend Arthur Fonzarelli. I appreciate the Bronze Fonz but I really wish there was a Tom Bosley statue wearing a little fez. At least there’s no Chachi. I actually had to wait 10 minutes to get this picture and the lady who took it was a bit annoyed I asked. I offered to take hers for her…eh, whatever, I got it. I had been looking forward to this lunch for over a year! The Safe House Restaurant is a place for spies to lay low, there’s not even a sign to get in. 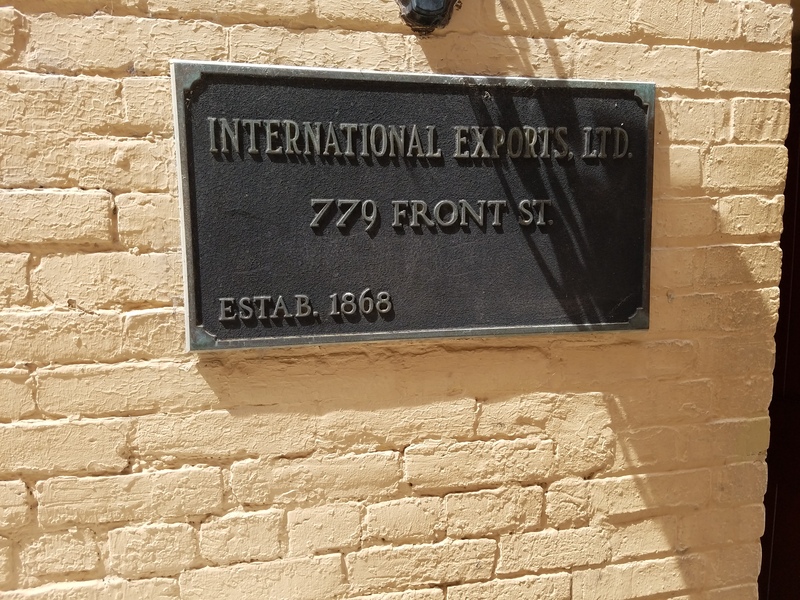 It’s labeled as “International Exports, LTD.” You need a password to get inside or have an agent clear you. I wish I could have gone at night for their “Shagadelic Dance Party” and “Magic Bar” but I had to keep moving. Getting in was great! A guy told me I had to prove myself and made me hop, box, and kick like a kangaroo. As soon as I did he pushed a button and the wall opposite him, at my right, opened to a hidden hallway! Walking through the door you enter into the bar area. As soon as I walked in an older couple started laughing at me and the wife said “Nice kangaroo kick.” The entrance has a camera that feeds into TVs in every room of the place…awesome. Unfortunately most of the fun ended there. 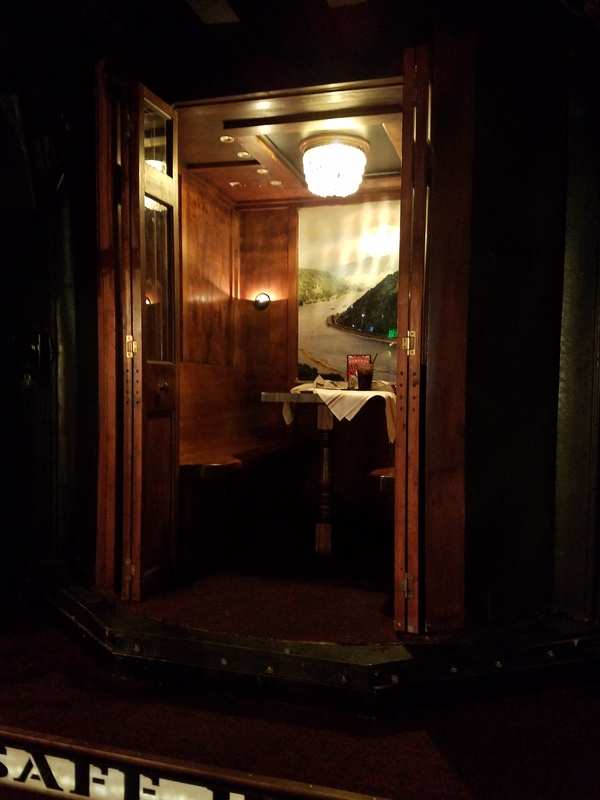 I was ignored at the stand until I finally followed a waitress to ask about a seat. Got a seat and my new waitress kind of dismissed me. I asked questions about the scavenger hunt game and she wouldn’t explain it completely. Other waitstaff brought puzzles to the tables and if the table solved it they got a discount on their meal. I didn’t care about that, but it would have been nice to be more engaged by the staff. 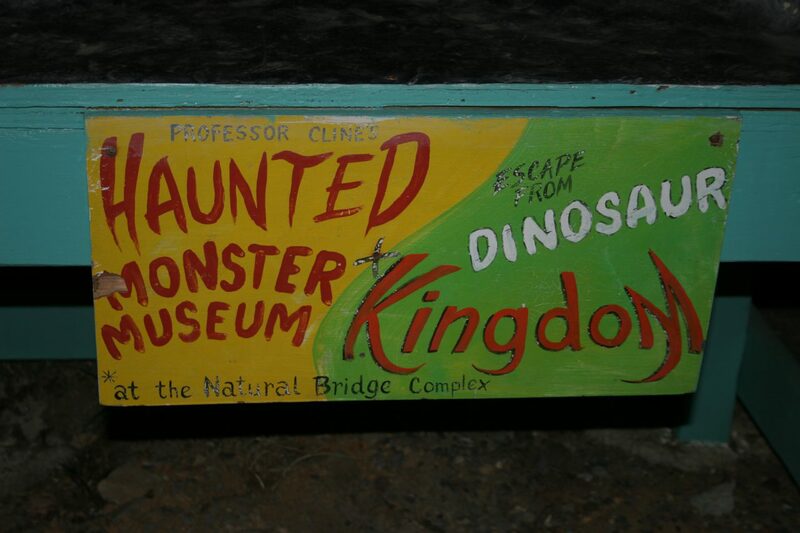 If I’m in the area again, I’ll check it out. Maybe she just had a bad day. Below are an assortment of photos. 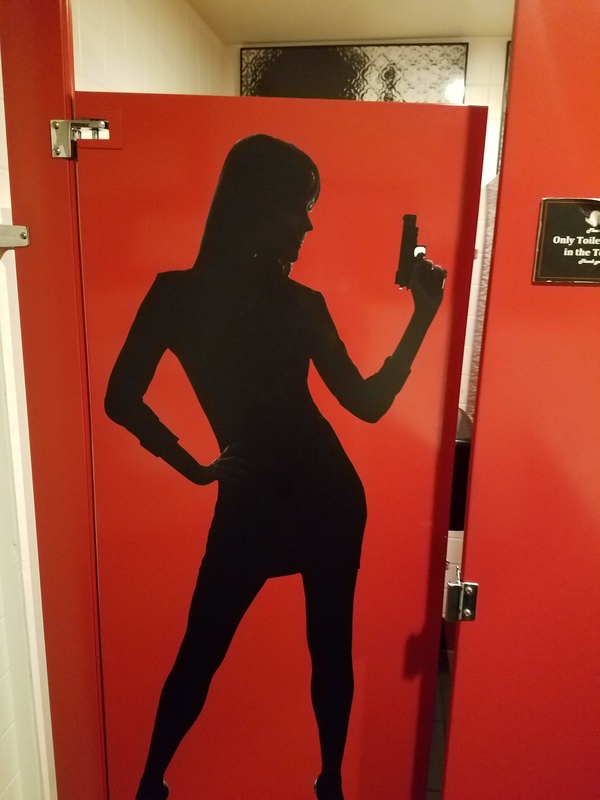 Note the false Men’s Room door that opened into a brick wall. 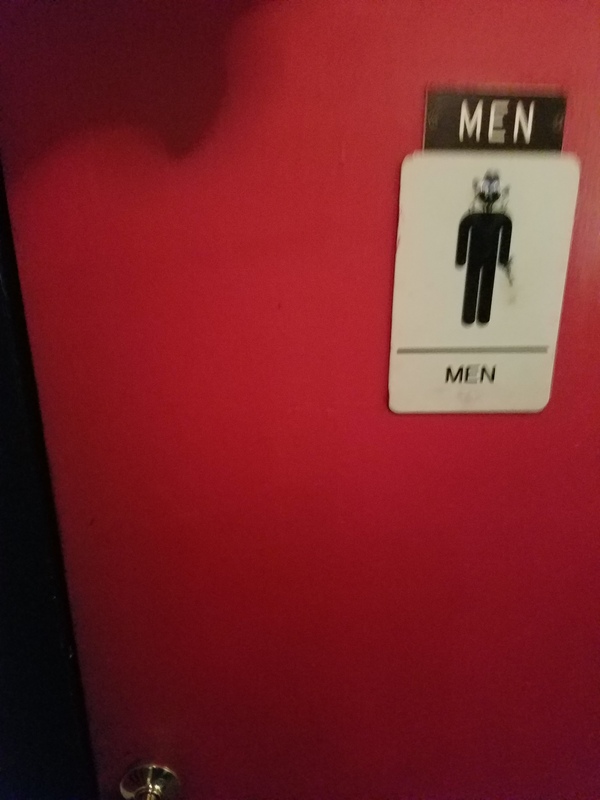 Jokes on them, I pissed on the wall anyway. But not really. Because of the time zone and a lack of traffic I had extra time on my hands. Slated for tomorrow, I decided to head over to the National Mustard Museum! While it is free there is a requested donation for the actual museum downstairs. The upstairs is the store and tasting room. And taste mustard I did! It was all so good, but I can’t lie, one scorched my mouth enough that I couldn’t taste many after that. I picked up the awesome assortment below! Feel free to comment if you want invited over for the inevitable mustard tasting. The picture was taken at Fireside Campground…we’ll get to that. While there I met Amy. She walked me through tasting, showing me what she liked and what she thought I would like. She’s a professional mustard technician and her suggestions were perfect! I gave her the UD toothbrush and one of my business cards (fake ones I made for this trip and will post later). She was not only cool with being put on the blog, the museum does random acts of kindness and she gifted me that bottle of Koops above! Thanks Amy! 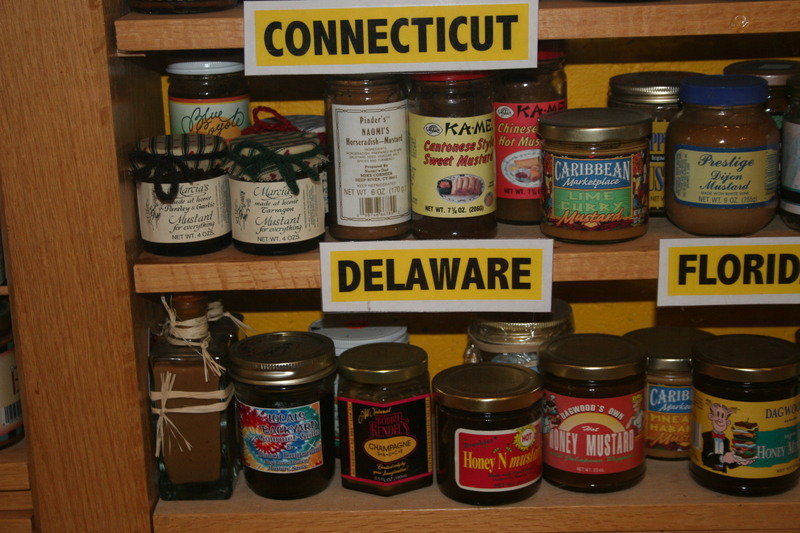 And a wall of mustard jars from every state, even Delaware! While we all know Chico Marx is a comedic genius, I can now fundamentally say that his quote at the top of this post is wrong. Mustard is still great without roast beef. 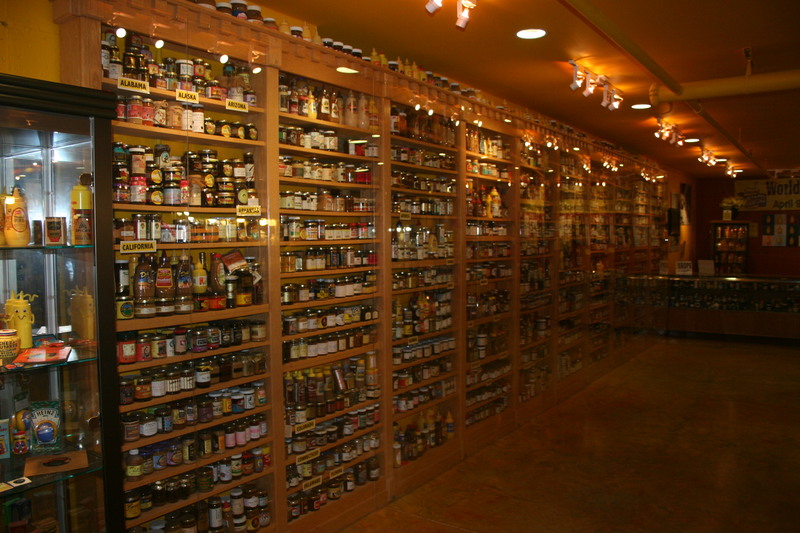 There is mustard for pretzels, cheese, salads, lamb, chicken, etc. If only Mr. Marx had lived long enough to view this paradise! Inside I was immediately greeted by Emma and her fantastic Wisconsin accent! She was so friendly and informative, of course she needed a UD toothbrush! She told me how to tell if a curd is fresh. If it’s less than 4 days old it squeaks. I didn’t fully understand what she meant until she gave me one. My mouth sounded like someone was cleaning my teeth with Windex…but in a good way. They have cow and goat cheese plus unique mixtures of the two. I tried the Cave Aged Marisa (named after the owner’s daughter) and was immediately disappointed I couldn’t buy all of it. Emma did tell me the secret, spend $50 online with them in the winter and get free shipping. Emma, be prepared for my Christmas orders. Everyone else, get ready for cheese presents! 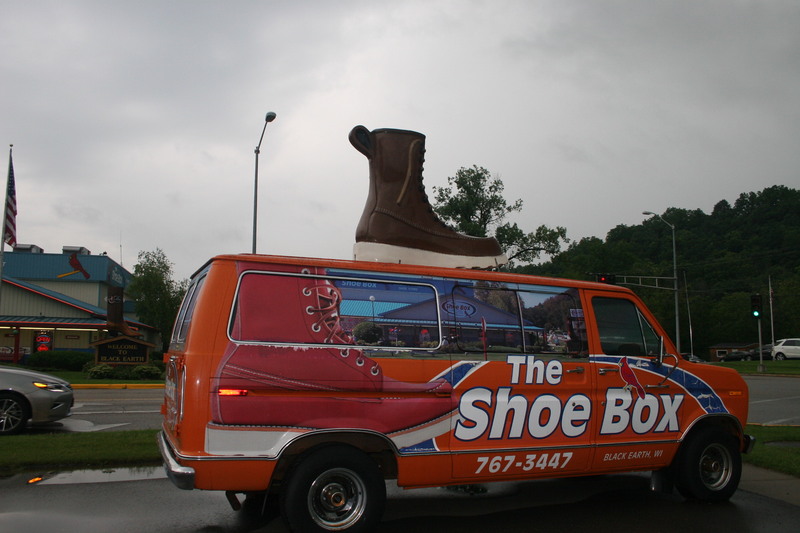 Along the stretch of road, as I continued to fight the storm, I saw a weird store called The Shoe Box. 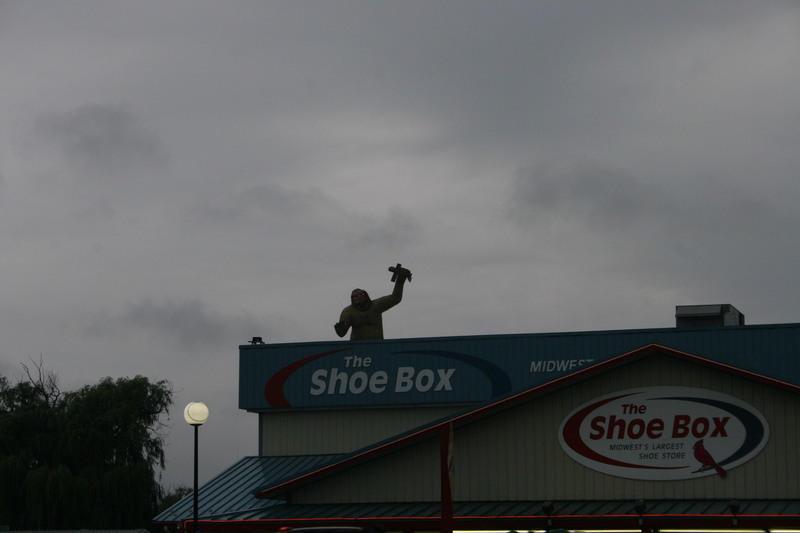 It had a Bigfoot with glowing eyes on the roof and a van with a cowboy boot on it.There was also a Discount Box and Shoe Box Repair across the street, making it a weird little complex. 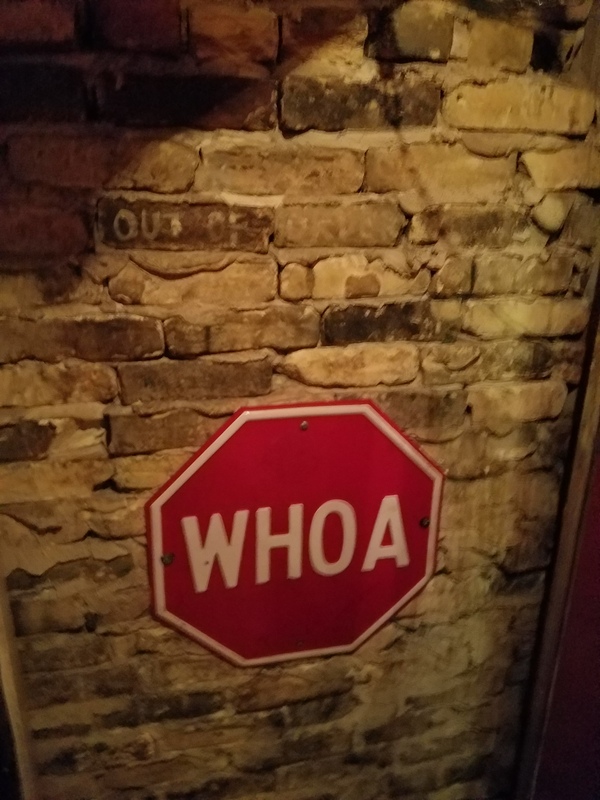 The weird thing was it was a happening place. There were families lingering around outside with little kids. At first I thought the neon sign in a window was for beer or ice cream but it was Nike. I have no clue what’s going on there. Onward I went to the Fireside Campground in Lone Rock, WI. Originally I thought I would do a lot more camping to cut costs but the price difference between many motels and campgrounds aren’t that different. This one was $25, had internet, and good reviews. When I got there the place was flooded and the rain had only slowed. I put up my tent in between downpours but it still got wet inside. I went to the common area to charge some stuff and when I flicked on the lights they started blinking and it sounded like sparks in the switch. I shut it off, took the mustard picture and went back to the car. The campground internet wouldn’t work at all. I wasn’t hungry but I bought chocolate, cheese, and Diet Dang! Butterscotch Root Beer at Carr Valley. I figured I’d eat it. 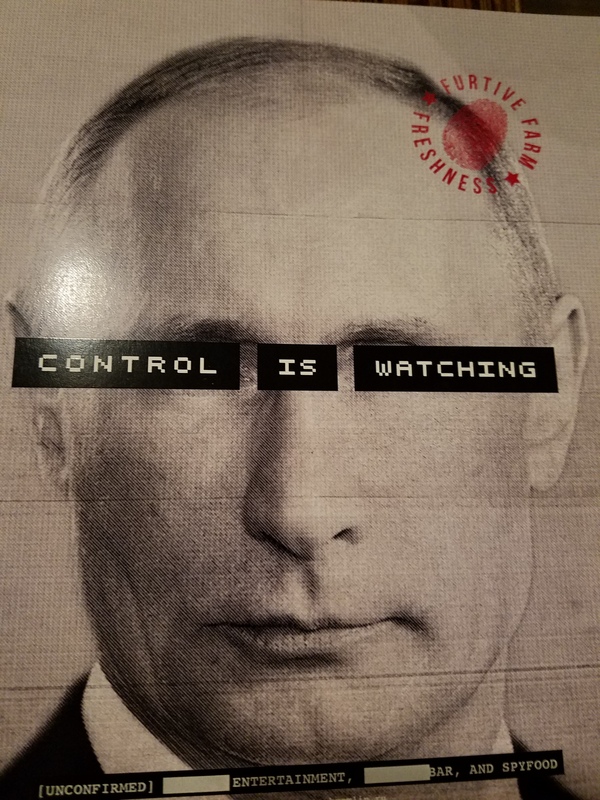 In the past two days I’ve eaten the grilled chicken sandwich from Dr. Doolittle’s, a Cuban “missile crisis” sandwich from The Safe House, and a couple of tea spoons of mustard. I need to eat something healthy tomorrow. Anyway I got crabby. My tent was flooded, the internet wouldn’t connect, I didn’t even want to go to the bathroom because the pathway was pure mud and it was pouring. But I did get out. I got out and ripped the tent down and threw it in the back of the car. I checked out and drove down the road. Best decision of the day. I’m now at the Usonian Inn where I met Carolina. This is the 65th anniversary of the Usonian but it’s been well maintained and updated. Their motto is “#preservedwithlove.” It was designed by one of Frank Lloyd Wright’s students (apparently this is Wright’s hometown). I was looking for dry and internet, I found so much more! One of my favorite parts about the place is the key. I’ve made cards for each hotel based on a point system (I’ll share those at the end). Depending on special features, they can earn certain points. A legit key, not a key card, gets 2 points. A key with a numbered key chain gets 4. I didn’t think I’d see any, I was wrong! Also a major score they get is having an escape window in the back. You always see people escape from murderers by going out the back window of a hotel in movies but when do you actually see these? Awesome. Carolina is originally from Romania, but moved to Wisconsin in the mid-90s after living in NYC. She loves it in WI and was great at talking the state up. Hearing her talk about lodging, restaurants, and the hospitality industry was like listening to one of my hospitality professors. It’s not her job, it really seems to be her passion. She’s thinking about “retiring” and opening a wine bar/restaurant closer to the Mississippi River in Wisconsin. She painted a picture of rolling hills and drinking wine out of a converted rectory. I’m sold. When she opens it, I’ll be there. What a lovely woman! Apparently next time I take this trip, I’ll be meeting John (from yesterday) for craft beers in PA and Carolina for wine in WI. I’ve met so many great people so far, I can’t wait for tomorrow! I spend the next few nights in the Wisconsin Dells enjoying all the tourist trap goodness they can provide. One last piece of good news. I buried my iPod in the center consul yesterday after it died. As I was grabbing a pen it shot out of it’s grave, alive again! Keep the love coming. Share and comment! Sounds like this trip is everything you hoped it would be. Keep going. I hope you brought enough toothbrushes cause you are giving them out like candy! !